Serving New Albany since 1928 and still here for you today. Resolving legal issues in an ethical and professional way. Assisting families and individuals with complicated problems. Navigating the legal system can be a complex and emotional experience. The attorneys with Lorch Naville Ward understand and work closely with our clients to develop a legal strategy based on your specific case. Our attorneys provide clients with legal expertise in a variety of subjects including general litigation, estate planning and administration, wills and trusts, business law, divorce, adoption, family law, criminal law, personal injury, real estate, bankruptcy, and alternative dispute resolution. Our firm has served as a trusted legal advisor to generations of Southern Indiana and Louisville area families. If the circumstances of your life have you in need of legal assistance, Lorch Naville Ward is on your side. We will first and foremost listen to you, ensure that we fully understand your position, and help you to develop a legal strategy within the framework of the law that works to secure the legal objectives of your case. To discuss a legal situation or to receive additional information about Lorch Naville Ward, please contact us at (812)-949-1000. We accept major credit cards. 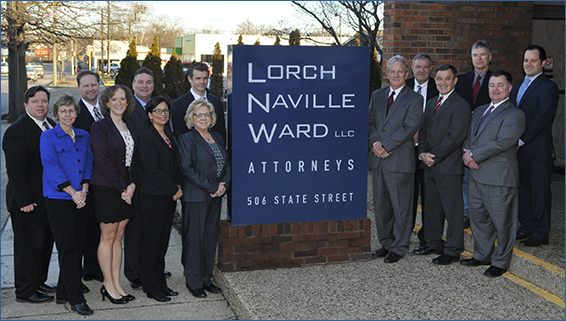 Lorch Naville Ward attorneys are available for out of office and after hours consultations by appointment.